"Thank you for your love, patience and trust in my kids capabilities, in their potential. Thanks for letting them grow without pressure or deadlines, thanks for respecting their individualities, guiding their outbursts and showing them how to express their happiness. " 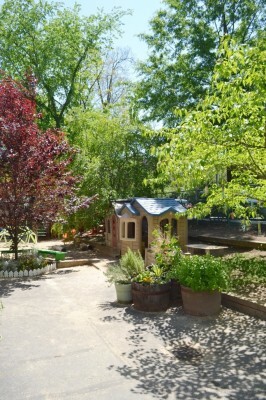 "St. Paul's Nursery School has been a magical environment for our daughter, who started as she turned two and a half. She loves the art projects, the songs, the snacks and play time. Most of all, she loves the friends she has made as she develops her social skills. Her teachers are such lovely presences in her life and it has been a wonderful community to be a part of. Through the parent teacher conferences we get the sense that they truly know and value our daughter and are actively supporting her development. And we appreciate the extra support with potty training, too. We absolutely could not have asked for a better school for our daughter and we look forward to having our son follow in her footsteps.​​"
"Our daughter had two amazing years at St. Paul's and our son is currently in the younger class. We absolutely love this school - the teachers are phenomenal and our kids have enjoyed every second. It is a small school that feels like a family. It is the most nurturing, loving school environment which allowed our very shy daughter to cope beautifully with her separation anxiety. Her transition to the local elementary school was totally seamless. She loves school and we credit her teachers at St. Paul's for giving her such a confident, positive attitude about new experiences. " Thank you for an amazing first year at St. Paul's! We were so nervous sending our son to pre-school, especially a five day pre-school, but St. Paul's was the best decision we could have made. He really came out of his shell this year- trying new things in the classroom and on the playground, singing songs to us at home, learning his numbers and colors. It has been awesome to watch. Thank you for creating such a wonderful environment for our children. We are looking forward to next year already! "This has been such a wonderful treasure of a school. The teachers are wonderful and loving. Our daughters have thrived. The teachers are very experienced and the class sizes are small and welcoming. I highly recommend it."